One of the best tools for analyzing volume, Weis Wave was idelized by David Weis, to facilitate the reading of directional flow. For the VSA method disciples it is an evolution of the practices created by Richard Wycoff, facilitating a predictive reading of the market, always seeking an accumulation and distribution of the negotiated contracts. In this version can you choose 3 Waves types Cumulative wave volume Range of wave Average Wave volume Ref "Tim Ord lectures"
Introduction This indicator detects volume spread patterns for buy and sell opportunity. The patterns include demand and supply patterns. 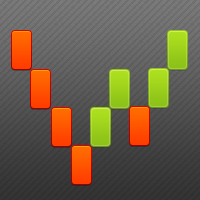 You might use each pattern for trading. However, these patterns are best used to detect the demand zone (=accumulation area) and supply zone (=distribution area). Demand pattern indicates generally potential buying opportunity. 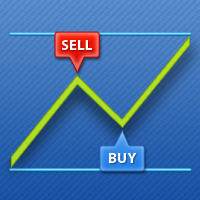 Supply pattern indicates generally potential selling opportunity. These are the underlying patterns rather than direct price action. Volume Weighted Average Price (VWAP) is a trading benchmark commonly used by Big Players that gives the average price a Symbol has traded throughout the day. It is based on both Volume and price. Additionally we put in this indicator the MVWAP (Moving Volume Weighted Average Price). 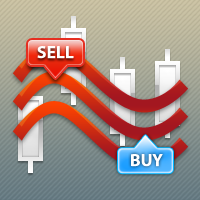 For those who do not know the usage and the importance od this indicator I recommend a great article about this subject at Investopedia (https://www.investopedia.com/articles/trading/11/trading-with-vwap-mvwap.asp). 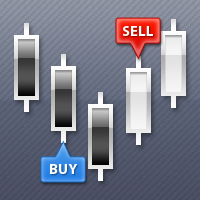 This indicator was developed to support multiple timeframe analysis. It was inspired on "Techniques and Mindset" coaching by Larissa Sihle, a professional trader and Brazilian coach. In the indicator settings, the user can set the color, width, and style of the horizontal lines (and rectangles) for each timeframe. This way, when the horizontal lines (and rectangles) are inserted into the chart, they will be plotted with the timeframe settings. This is a product developed by the "Águia Traders"
The center of gravity indicator is best used to confirm major turning points, and distinguish price extremes. Generally if price reaches the upper or lower levels one should expect a turn around coming soon, or at least a pull back towards the centre line if there is a strong trend. The upper and lower levels are the regions starting from the dotted lines and beyond.